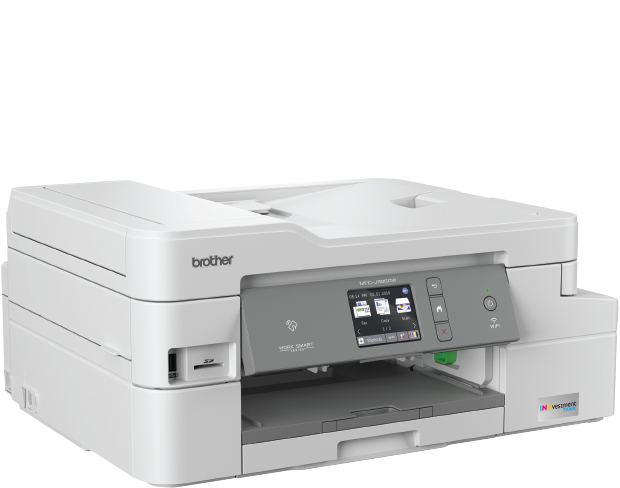 Borderless Printing‡ Borderless printing is available for Letter, 4"x6", 5"x8", 5"x7", A4, and A6 paper sizes. Carton Contents‡ Actual yield of initial cartridges will be approx. 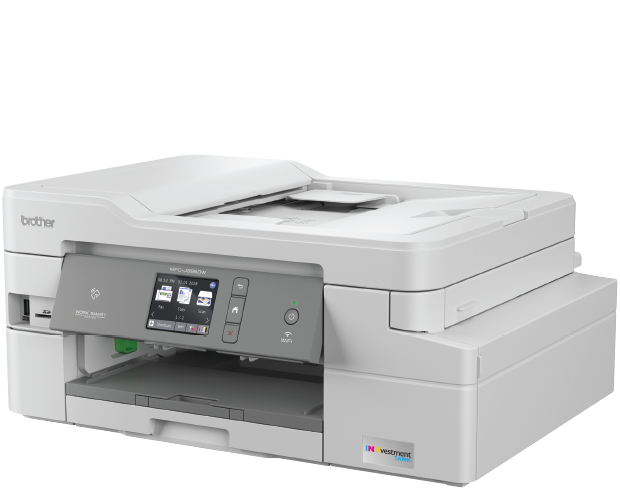 85% of replacement LC3035 Black, and 75% of replacement LC3035 Color Series, due to ink system initialization. All replacement cartridges will provide approximate page yield stated in accordance with ISO/IEC 24711. For more page yield information, see www.brother.com/pageyield. 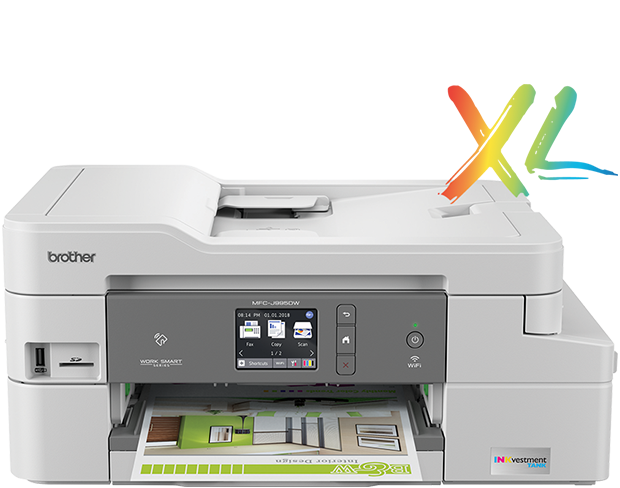 For best results, use Brother ink cartridges within 3 years of the manufacture date. 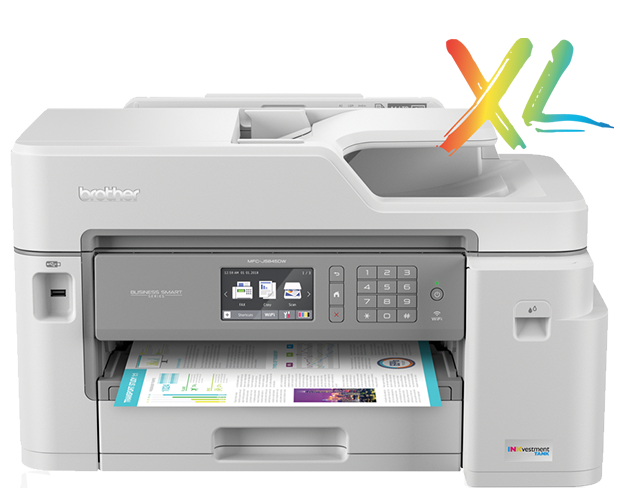 Up to 2 Years of Ink In-box‡ Based on average monthly print volumes of approximately 300 pages at 60% black pages / 40% color pages in accordance with ISO/IEC 24711 using 4 cartridges provided in-box. For more page yield information, see www.brother.com/pageyield. 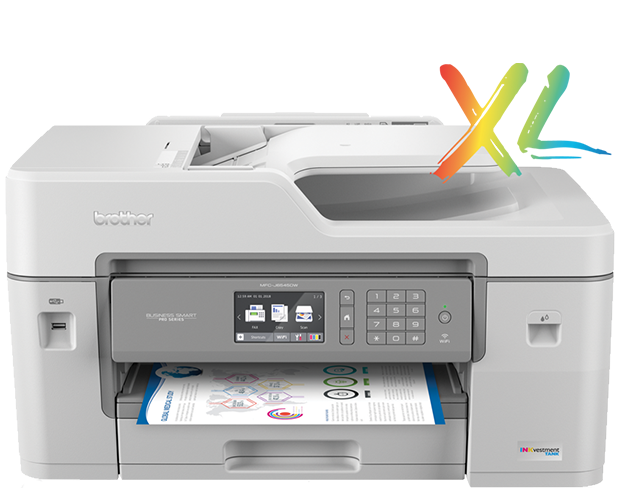 The MFC-J5845DW XL provides up to 2-years of printing.3 Includes mobile device printing,7 flexible output, 11" x 17" printing, automatic two-sided printing and a 3.7" color touchscreen for onscreen navigation.